In my spare time I decided to set myself a challenge to create a HTML5 reaction game within a week. The reaction game randomly generates a colour and displays it in a circle and then randomly positions the four available colours below it. 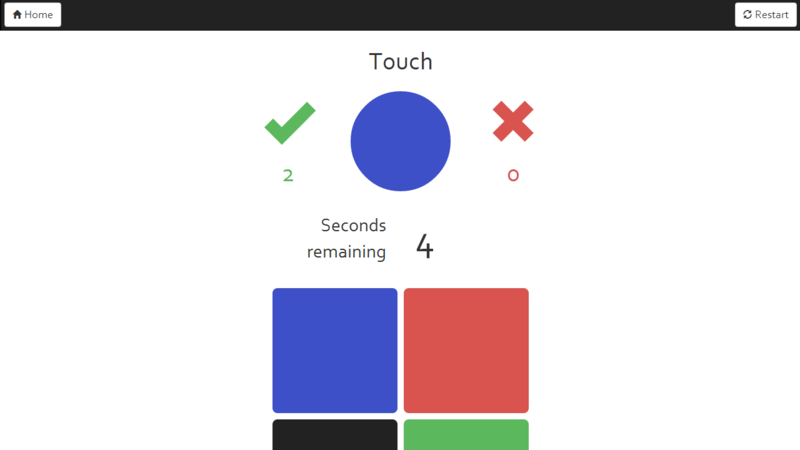 The user needs to select the same colour from the bottom 4 squares that appears in the top circle. The user gets 1 point for each correct colour and -2 points for each incorrect colour. You can download the game from the Google Play Store.